Having a live in Au Pair is growing in popularity in New Zealand as an affordable and flexible childcare option that allows children to be cared for in a loving home environment. Au Pairs come to New Zealand to live as part of a kiwi family to experience another culture and improve their English. Au Pairs provide live-in childcare and evening babysitting for families between 25 – 45 hours each week. In return, you as a host family will treat your Au Pair as part of the family as well as provide board, lodgings and weekly pocket money. An Au Pair is usually a younger woman who has gained experience working with children by completing internships at preschools, babysitting, coaching or sometimes even formal childcare studies. Having an Au Pair means that your children can be cared for at home and carry on with their routines and activities as usual. It also means you can relax knowing you have reliable and flexible help when you need it most. As leaders in children’s education, Playschool Au Pairs will be there assisting you every step of the way by providing ongoing support visits, fortnightly outings, professional development opportunities and more. You can expect your Au Pair to care for and educate your children in a way similar to you if you were doing it yourself, either in a parents help role or sole charge. Your Au Pair duties will be specific to your family and may include playing with and teaching your children, attending the children’s activities and classes with them, school and kindy drop off and collections, preparing snacks and meals, assisting with homework and other daily tasks. As a host family, you need to be ready to open your home to share with another young person and treat them as part of your family. For some of the Au Pairs this may be the first time they have traveled away from family and friends and often they need support settling into a new environment and role. You will need to dedicate a few days to familiarise your Au Pair with their new duties and show them what is expected of them. You will also need to supply your Au Pair with their own comfortable fully furnished bedroom and use of a bathroom (which may be shared with other family members) along with meals and snacks each day of the week. In addition to this, you need to pay your Au Pair pocket money based on the number of hours they work each week. Au Pair First Steps – For families living in our licensed regions* with preschoolers or those who have at least one child under 5. *We plan to expand and cover all other areas in 2020. Au Pair School Steps – For families with only school-aged children or those who do not meet our First Steps minimum requirements. We also place Au Pairs outside of Auckland nationwide. Au Pair Share is a unique opportunity for Playschool families who are wanting some help with childcare and child-related duties but not wanting to commit to a full time live in Au Pair for perhaps financial or space reasons. Au Pair Sharing is an opportunity for you to share an Au Pair who is currently living with and working for another family for casual work such as weekend babysitting or regular ongoing hours, up to 20 hours per week. Playschool Au Pair’s core programme is called Au Pair First Steps, which is licensed by the New Zealand Ministry of Education. It is designed for Host Families who have at least 1 child under 5 years of age. As part of our Au Pair, First Steps programme your child and Au Pair will be visited at home on a fortnightly basis once they have arrived in New Zealand by one of our qualified ECE Teachers (Programme Coordinator’s), who will help your Au Pair to settle into their role. Following this, your Programme Coordinator will come by monthly to deliver our fun learning the curriculum. On the Au Pair First Steps programme, you will have access to fortnightly Au Pair and child outings, a monthly activity delivered to your home, free educational resources and toys, professional development opportunities and our activity passes which include free annual Zoo passes. Playschool School Steps is designed for families with school-aged children. As children who attend school receive their education at school, the educational support required by the Au pair is less than that required by those accessing our Au Pair First Steps programme. That’s not to say that we won’t still be there to support your Au Pair. As part of our Au Pair School Steps programme, your Au Pair will be visited at home by one of our Programme Coordinators who will help them settle into their new role. We will also be there to provide ongoing support and we can conduct additional in-home visits should you require it. Your Au Pair will also have access to fortnightly outings around Auckland to ensure they make friends with like-minded people. Playschool Au Pairs Orientation is a compulsory and free service offered to all of our Au Pairs. Not only does it give your Au Pair a chance to recover from jetlag and connect with other new Au Pairs but it will also prepare them for their new role caring for children. Our Orientation is fun, FREE and a great way for your Au Pair to start their time in New Zealand. The Orientation Programme includes accommodation in a shared room, all meals and snacks, Airport transfers, First Aid Course, practical and theory instruction, Sim card, and wifi. Orientation runs for 3 days/ 2 nights. At the conclusion of the Orientation, Au Pairs will be collected from the Orientation venue by their new family or transferred to the airport for flights to other parts of the country. Out of Auckland flights must be booked and paid for by the host family. As Playschool Au Pairs is licensed and funded by the Ministry of Education to provide ongoing education and support, in most cases we can actually subsidise the cost of your Au Pair’s pocket money from anywhere between $30 and $200 per week. In fact, EVERY child who enrolls on our First Steps programme will receive a non-income tested subsidy! As Au Pairs are granted work Visa’s in New Zealand this means they will apply for an IRD number. 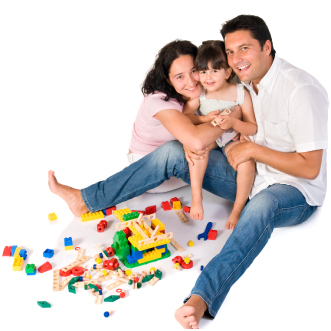 As the employer, you will be required to pay tax to the IRD on your Au Pairs pocket money, board and lodgings. Playschool Au Pairs is able to provide all the paperwork and assist with complying with Tax payments or alternatively we also run a Payroll service and can manage this on your behalf for a small fee. Placement terms range between 6 and 12 months with most being between 6 and 9 months. Playschool Au Pairs offers a free re-match service should the placement not work out within the first 6 weeks. For more details please refer to the terms and conditions outlined in the Placement Agreement.